The Atomic Hawx Prime 90 makes a great ski boot for the intermediate to advanced level skier who has a medium width forefoot and medium cuff volume. 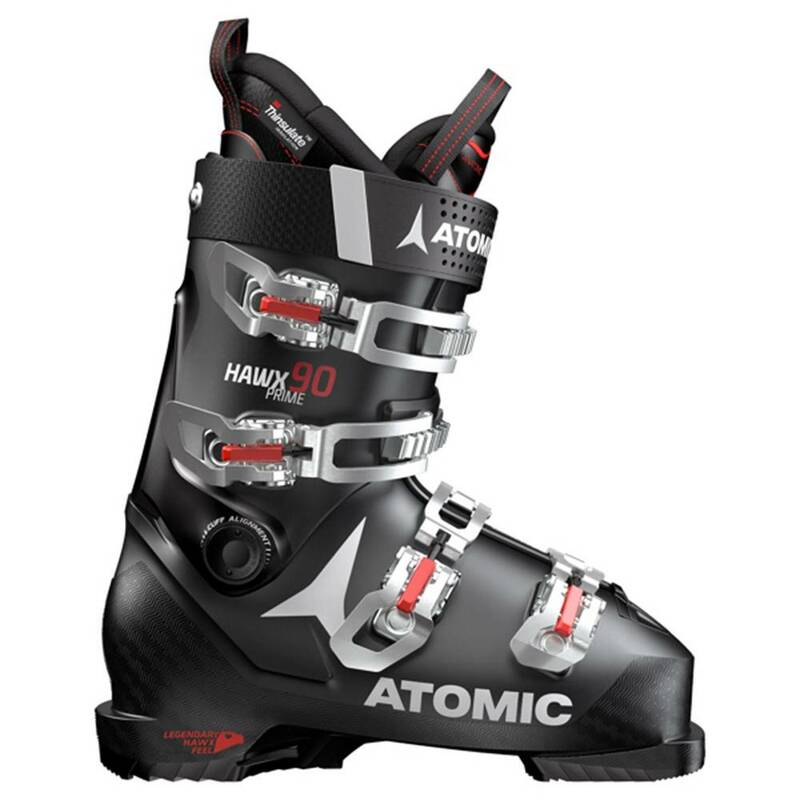 Atomic's new Prolite Technology keeps the shell of the boot extra lightweight, while the Energy Backbone delivers power and rebound with each turn. The Memory Fit Shell allows an Authorized Atomic Dealer to heat the shell in a special oven and mold it to your foot. The Memory Fit 3D Silver Liner also has heat moldable properties in the heel and ankle pocket that can give you a dialed in fit. 3M Thinsulate Insulation keep your feet extra warm on those frozen days on the mountain. If you want a ski boot that is simple to customize, that feels light on your feet, the Atomic Hawx Prime 90 is an excellent choice.